We find it is timely to focus on India-Korea relationship from an economical, historical, cultural and linguistic point of views. By doing so we can bring these two economical powers of Asia closer for mutual prosperity and healthy relationships. The most dynamic and fastest growing economic region of the world today, and as two great countries of Asia, Korea and India, have roots in their common values and interests. So the ongoing transformation of Korea-India relationships is not only a mere coincidence. As we know Korean companies like Samsung, Hyundai and LG are now household names in India already as their products have found an important place in most of our homes. This is because of Korean company’s confidence in the fundamentals of the Indian economy and its growth potential, they are investing in a big way. India maintained close trade and cultural relations with China by exporting coral, pearls, glass vessels and beads and in return importing jade and silk from China. Archaeologists have discovered Chinese coins made of copper or bronze in many places such as Mahabalipuram and Tanjavur in India as evidence. When ancient Indians refer to China, even though Korea had its own identity, it most probably included Korea as well, as there were times when it existed in truce with mighty Chinese dynasties in the past. A missionary explorer in New Zealand named William Colenso, found a bronze bell among the Ma-ori tribes with Tamil inscriptions (Mohaiyideen Buk’s ship’s bell) indicating Tamil trader’s presence in the far east Asia in the year 1836 itself. An interesting novel based on the old legend of an Indian princess marrying a Korean prince written by our India’s past Ambassador, Dr. Parthasarathy, in Seoul has pointed out several similarities between Korea and India such as Buddhism. The spread of Buddhism in South East and Far East Asia was essentially through the silk route established earlier by traders. Ofcourse, myths play a vital role in every society in retaining communal memory over ages. 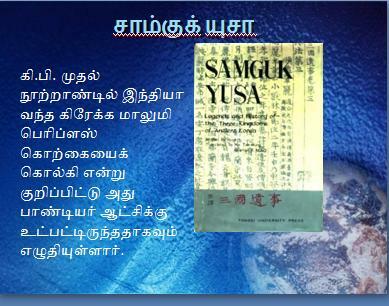 The legend of the Indian princess is narrated in Samguk Yusa which was set in the Kaya kingdom in the first century CE. It says, in the south central Korean peninsula, was first ruled by nine elders, but there was no king. One day, due to a voice spoke from heaven at a place called Kuji and by following that, a plum-coloured cord descended from heaven with a gold chest filled with six golden orbs which transformed into a baby boy. The boy grew quickly and reached a height of nine feet. He was now called Kim Suro came to the throne of Kaya. After two years he built his own palace and ruled from there. When the king was adviced to take a bride he refused, saying that heaven had sent him to be king and heaven would take care of his marriage as well. At the same time in India, Huh Hwang-ok was a princess in ‘Ayuta’. The princess says that she was 16 years old when she reached Kaya, that her family name was Huh and her name, Hwang-ok which means Yellow jade. She says, according to her parent’s dream, in which God said, he has sent down Suro to be king of Kaya. Suro is a holy man, and is not yet married. So that their daughter had to become his queen’. Huh is said to have arrived in Kaya, along with her brother Po-ok, on a ship with a red sail and red flag. When she was presented to the king, with treasure and gifts she told him of the dream and the king understood at once that this was heaven’s chosen bride for him. As they were married in 49 CE and the queen was greatly loved by all her subjects and lived to the grand old age of 156! The couple had 10 sons and two daughters. As per the Queen’s wish and request, two of their sons were named Huh after their mother’s family name and the rest were called Kims, after King Kim Suro. Surprisingly, the same story in ancient Tamil literature the ‘Kuji’ mountainside is referred as ‘Kurunji’ and the prayer song “Guha, Guha” is practiced even today in Tamilnadu. 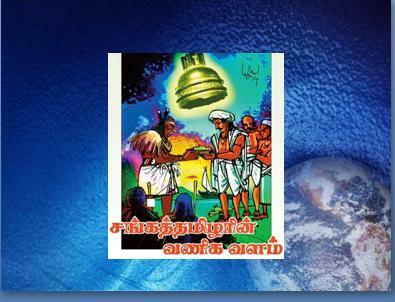 Kurunji Ganam or the song of the mountains of Tamil Nadu resembles Kujiga, says research scholar Dr.Kannan . It is not a simple coincidence that the first Kingdom of Korea is named after Gaya where Buddha attained Nirvana. in celebration of his seven Buddhist monk sons reaching Nirvana. Queen Huh’s 5-metre high earthen mound tomb still stands in the Gyeongsang (South) province of Korea. At this royal tomb of Gimhae, in an archaeological survey researchers found that Koreans have DNA traceable to South or South East Asian ethnic groups like Indian, Malaysian or Thai. 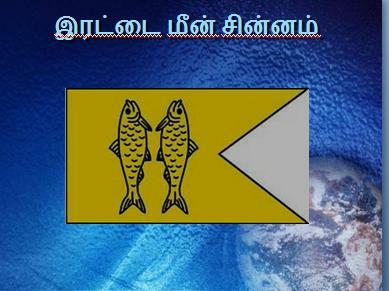 The place of origin of Queen Huh needs further research with the base of her Tamil ancestral culture. When Korean historians found in Ayodhya paired fishes on the gates of Hindu temples, the gates of academies, government offices, military ranks, law enforcement helmets, and transportation registration centres and hence concluded that the root must be in the state of Uttarpradesh. To consider about the possibility of that Queen Huh might have come from South India rather than Uttarpradesh, which has better evidences of both linguistic as well as archeological, but they were not aware of the ancient Pandiyas ruled the South India with fish as their ruling symbol in their flag and Silk Road by sea was dominated by Pandiyas and not by Mishras of North India. Gimhae (Pandiyas) and Cholla (Cholas) suggest that these southern shores of Korea were visited by Pandiyas and Cholas from Tamilnadu in earlier times. Thus, if a Pandiyan Queen of authority travelled with a name Pavalambigai. Red Jade would have been called in ancient Korean as Huh Hwang-ok. Since then Koreans started calling their parents as Amma and Appa like Tamil people. Now more than 6000 tamil words have been used by Koreans in day to day life. If Queen Huh had reached the Korean shores from Ayodhya which is a Hindi speaking country they might not have called their parents as Amma and Appa. A portrait of Huh which is depicted at the royal tomb in Gimhae is a peculiar feature of Queen Huh who had a long ear lobe like women of Tamil country side which have been regarded as a sign of superior status and spiritual development . As in Tamilnadu, in Korea also marriage is considered as an important relationship between families rather than individuals and also respect for elders. After the father the elder son has the responsibility for the family in Korea as in Tamilnadu and also ancestral worship is still a primary function in Korean families. The staple diet for Koreans and Tamils is the same as rice . Several food items like rice cakes, rice puff, lentil cakes etc are similar in both cultures. 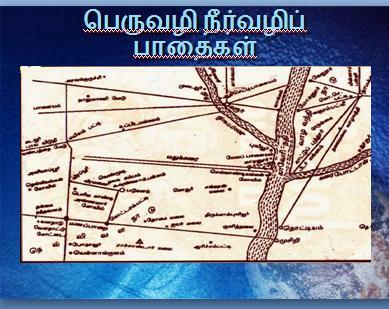 According to my knowledge Pandiyan princess Pavalambigai might be the native of Kongu Nadu which is referred as Aykongu in ancient Italian map. Travelling several thousand miles alone in that olden days, a young woman needs to have guts and should be aware about her tradition as well as culture. The history shows that in Tamilnadu, Kongu Nadu women have their family responsibilities, religious practices, social relations and expert in agricultural work. Yes, there are some special properties for certain places. People who have appeared in some places have the unique characteristics of that place. 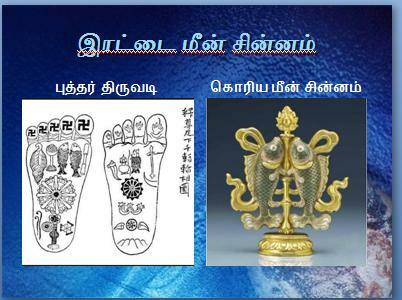 It has been proved with Sangam Literature and archealogical evidences, cultural resemblences, traditions, Iron casting works, beads collection etc… and published the book in Tamil named, “கடைச்சங்கத்தில் கொங்கு கலாச்சாரம்”. Kongu nadu comprises the modern day districts of Coimbatore District, Nilgiri District, Tirupur District, Erode District, Namakkal District, Salem District, Karur District, parts of Dindigul District in the South Indian state of Tamil Nadu and also parts of South-western India including parts of Palakkad District in the Kerala state and parts of Chamarajanagar District in Karnataka state. The Western Ghats mountain range passes through the region with major rivers Kaveri, Bhavani, Amravati and Noyyal flowing through the region. In order to find out the exact silky route of the Princess, Universities and Research Institutes in Tamilnadu should focus more on topics dealt in this article. Substantial research is due. Surprisingly, we could find some evidences regarding this interesting research at Bhavani, a small town near Erode, Kongu nadu with a main river of the same name. Bhavani, which is the second longest river in Tamil Nadu and a major tributary of the Kaveri River is a major river in Kongu Nadu region of Tamil Nadu, India. Bhavani river originates from Nilgiri hills of the Western Ghats and 217-kilometre long . 0.62 million hectares of area spread over Tamil Nadu (87%), Kerala (9%) and Karnataka (4%) have been watershed by Bhavani river. The majority river courses mainly through Coimbatore district and Erode district in Tamil Nadu. About 90 per cent of the river’s water is used for agriculture irrigation. Bhavanisagar dam which is located on the Bhavani river in Erode district, Tamil Nadu, India is one of the largest earthen dams in the world. This dam is situated some 16 km west of Sathyamangalam and 35 km from Gobichettipalayam. The Lower Bhavani Project was the first major irrigation project initiated in India after independence in 1948. Once upon a time in ancient days people say Bhavani river was flooded many times. During this flood Gautama Bhudda’s daughter Sangamithirai drowned in this river. Evidences for this local belief should be searched through researches. There is also a strong belief that in ancient days one of the charroits of a princess was drowned in this Bhavani river with full of valuable wealths. Even now some people take much pain to find out this charriot illegally. This might also be taken in to account for research. Anthiyur near Bhavani, Erode is a major horse market in Tamil Nadu. It has a very long history for attracting buyers from Arabia too, long back. At Bhavani every year they celebrate mud festival as like Korean festival, that too around the same time! Its really a much surprising news for Korea – India relationship researchers! A thorough study of the ancient and ethnically enhanced Kongunadu for more than three thousand years is an essential requirement for the excavation. Kodumanal excavations and Pattinam excavations prove this. The ruined old towns of Kongu Nadu are the longest paths of their domestic overseas trade with their Jain Buddhist Pilgrimage through Waterway, landway and seaway. If new study of weaving and iron casting industry has been made possible, it can be proved that both South Kongu and Gaya had been developed relatively by Tamil merchants. The hypothesis is that the idea that Tamil bhuddism might have been introduced by the tamil traders, particularly by the Aykongu traders in the Gaya country of 50 BC. There is another assumption that the iron weapons, statues made of melted gold and the iron casting made in kongunadu spreaded in kadaram and the Korean’s Gaya country, from which the Koreans made the iron weapons like sword. Through tamil traders iron casting, colour beads, red corals, golden ornaments might have been exported to korea. 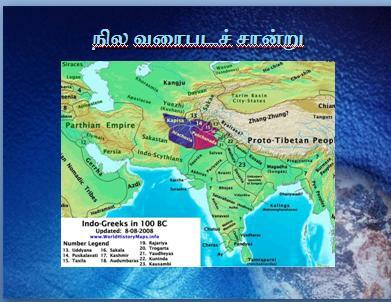 Tamil traders, for their business purpose introduced Buddha’s numerical routes to Afghanistan in the northwest of India and introduced it to Tamil Nadu and neighboring northern Sri Lanka. Tamil traders who became the Buddhist witnesses to the Tamil Buddhist Ministries prior to Ashoka introduced the Buddha’s propagation. Before the advent of Ashoka’s bhuddism Tamil Buddhism could reach Korea and collect data to spread and the Tamil Buddhism went to Korea through China. 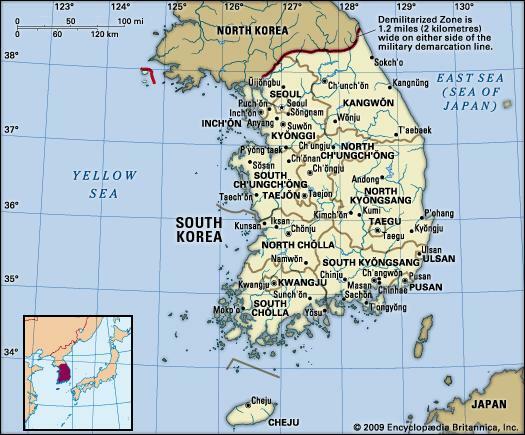 Korean researchers also have reported that it is possible that the girl might have crossed the sea in the western direction of South Korea and married Gaya king.